A 1,259-Lot public auction of Worldwide Postage Stamps and Postal History, the sale being conducted at the conveniently-located Regus Conference Centre, located at No. 1 Northumberland Avenue, London WC2 (located a few yards off of Trafalgar Square), and commencing promptly at 11:00 AM. The Worldwide auction features the comprehensive John Crowe Collection of External and Internal Australian Air Mails, with the offerings including rare Pioneer, Survey and Record-Breaking flights, routes via India and Iraq, New Zealand flights, the Ross Smith, Kingsford-Smith, Alan Cobham and Army Johnson flights; African Air Mails with R.A.F. Flights, Pioneer and Recording-Breaking flights from Egypt, the Sudan, South Africa, South-West Africa and KUT, Crash Covers, Zeppelins Mails, as well as Wilson Airways and Imperial Airways flights. The Cape of Good Hope presents pre-Adhesive mail, exceptional Slavery Letters, Maritime Mail, cancels and the Triangulars. Iceland stamps also offers Maritime Mail, WWII Mails, Air Mails and Postal Stationery. Japan includes Postal History (with used Abroad), Military and POW Mails. Hong Kong offers WWI and WII Military and POW Mail. There are Sudan Official and Army Official stamps, India used in Aden, Western Australia stamps, and Anguilla pre-adhesive covers. Burma postal history, a Fiji ‘Savu Savu’ manuscript cancel cover, Australia stamps, as well as Olympic Games collections, Great Britain stamps and postal history; Scout camp covers, and Vintage Picture Postcards. NOTE: The entire Argyll Etkin Limited catalog can be viewed on their WebSite [see below]. A 773-Lot public auction of the John ‘Jay’ Lewis Collection of United States Revenues being knocked down at the offices of Michael E. Aldrich Inc., located at 36911 N. 24th Way, in Carefree, Arizona. NOTE: The entire Michael E. Aldrich auction catalogue can be viewed on the designated WebSite [see below]. A comprehensive 2,075-Lot offering of fine German States, Germany, German Offices Abroad, German Occupations, and German Colonies Postage Stamps, Postal History, and Collections; the sale also incls better General Foreign, all being offered at their premises located at Windelsbleicher Straße 174, in Bielfeld. ~ Sale No. 633,- a General Sale primarily strong in all aspects of Greece and Cyprus philatelia, and including comprehensive sections of Postal History. NOTE: Auction agent attendance services will not be available for this sale. A very comprehensive 1,141-Lot public auction of Italy and the Italian States being sold at the Palazzo ‘Mercurioi’, located at via Londra 14, in Porto Mantovano (Mantova), beginning at 2:30 PM. The auction is highlighted by the ‘Gli Introvabili’ Collection (Lot Nos. 0001-00824) and the ‘Griglie, Sbarre, Rombi, Puntini and Ferri di Cavallo’ Collections (Lot Nos. 0825-1141) In addition to the presented Italian States, Kingdom of Italy and Italian Colonies sections, also offered are Europe and other Worldwide. NOTE: The entire Laser Invest auction catalogue can be downloaded from their WebSite [see below]. Two sales composed primarily of the Australian States, Australia and the Australian Areas Stamps, Postal History. Picture Postcards, all being sold at the Abacus Auctions Showrooms located at 19A Hampshire, in Glen Waverly, Victorian, beginning promptly at 11:00 AM on both days. ~ Sale Nº 232 (Lot Nos. 0001-1041) - Stamps, Postal History, Picture Postcards. * The ‘Ginger Meggs’ Collection of the Scenic Letter Cards of Australia. * The William Pate Collection of New Guinea Postal History. * The Colin Riddell Collection of Cocos Islands Postal History. NOTE: The entire Abacus Auctions catalog can be viewed on their designated WebSite [see below]. ~ Australian States - New South Wales - Comprehensive range of early “Sydney Views” and “Laureated” issues to the later perforated issues and Officials. ~ China - A strong range of 1970's NH mint sets and Miniature Sheets . ~ Tristan da Cunha - An interesting modern collection including much postal history. (Holdings) Ltd. WebSite [see below]. Over a 10,000-Lot public auction offering in the philatelic section a comprehensive German States, Germany, the German Offices Abroad, German Colonies, German Occupation Issues, and General and Specialized Worldwide, as well as Coins, being conducted during over 5 days at the Felzmann Auction Galleries located at Immermannstraße 51, in Düsseldorf. The Coins portion of the auction will be sold on 5th-6th March (3,186 Lots). The Philatelic portion on the 7th-9th. In the Philatelic section are included a total of 1,050 albums that are divided up into three group lots (Lot Nos. 7001, 7002 and 7003). These include stamps from France, Russia and the German Empire. Also of interest is an Apollo 16 “Moon Landing” cover personally signed by the three astronauts: David Scott, Alfred Worden and James Irwin. The Claus Gessler “The System of Terror 1933-1945” Collection includes a card sent by Carl von Ossietsky, one of the best known inmates, to his wife in Hamburg. NOTE: The catalog for this auction is available on the Ulrich Felzmann Briefmarken-Auktionen WebSite in both the German and English language texts [see below]. 2,742 Lots of upscale Postage Stamps and Postal History representing France, the French Offices Abroad, and the French Colonies, as well other European and Overseas Areas. 1,644 Lots of United States and General Foreign Postage Stamps, Postal History, and Collections, Accumulations and other Large Lots. The auction also includes comprehensive sections of Deltiology, USPS Products, Sports Cards, and Philatelic References and Supplies, all offered at a public auction conducted at the Dutch Country Auctions offices located at 4115 Concord Pike in Wilmington, Delaware, beginning promptly at 4:00 PM (Friday Sessions) and 10:00 AM (Saturday sessions). The Postal History-FDCs section (Lot Nos. 1-170) incls strong showing of United States Stampless and Postal Stationery, as well as Advertising, Aerophilately, Naval and Topical / Thematic Covers. Highlights in the General Foreign section (Lot Nos. 848-1644) are found in the listings of Australia, Austria, Canada, China, France, Germany, Great Britain, Iran and Russia. In addition, the sale also offers extensive better United States and General Foreign Copper, Silver and Gold Coins, and Medals, as well as Banknotes (Lot Nos. 633-847). NOTE: The entire Stamp Center (Dutch Country) auction catalog can be viewed on their WebSite [see below]. A Gold Medal Exhibition Collection of the North Atlantic Mail Rates that’s being sold intact highlights the auction. In addition, the sale also offers better Copper, Silver and Gold Coins (Lot Nos. 359-523 Finland, 524-576 Worldwide incl Canada, 535, Saxony, United States), and Medals (Lot Nos. 577-671 Russia, 614//639 Finland). A 987-Lot public auction of New Zealand and General Foreign Stamps, Postal History, Collections and other Large Lots, all being offered at the Auckland City Stamps Offices located at 1 Ngaire Ave. - Newmarket, in Auckland, beginning promptly at 12:30 PM. NOTE: The entire Auckland City Stamps auction catalog can be viewed on their WebSite [see below]. A Special Auction offering the Peter Zgonc Collection of the Germany ‘Shield’ Issue Rarities and WWII German Occupation: Part 2, to be sold at the Auktionshaus Christoph Gärtner Offices sales venue located at Steinbeisstraße 6+8, in Bietigheim-Bissingen (ca. 12 miles north of Stuttgart, and 12 miles south of Heilbronn). NOTE: The entire Auktionhaus Christoph Gärtner GmbH & Co. KG auction catalogue can be viewed on their user-friendly German:English bilingual WebSite [see below]. 9th - 10th BURDA AUCTION S.R.O. An 3.531-Lot offering of moderately valued-through-rare Bohemia and Moravia, Czechoslovakia, Czech Republic, Slovakia, as well as strong representations of other General Foreign, all being offered at a public auction at their Prague - Auction House, Dejvicá 306/9, Prague 6 - Dejvice, 160 00. The 11th March session offering the Ludvík Pytlíče Collection, will be conducted at the Municipal House, at Grégr Hall, in Prague 1. ~ The Vladimír Dražan 1953 Monetary Reform of Czechoslovakia Postal History Collection. ~ The Franz Hanzl Collection of the Theresienstadt Ghetto Postal History. ~ The extraordinary Dr. Helmut Kobelbauer Postal History Collection of the Carpatho-Ukraine. The auction also includes a comprehensive grouping g classic Austria, as well as a selection British Commonwealth that includes a range of singles, sets, and Plate and Watermark varieties. Two upscale public auctions featuring General Foreign Stamps and Postal History, the auction being conducted at their Robert A. Siegel Auction Galleries located in mid-town Manhattan at their new offices located at 6 West 48th St. - 9th Floor, New York City. ~ Sale 1196 - Monday-Wednesday, 11th-13th March - United States Postal History, including The ‘Angel’ Collection, features an exceptional array of United States Postal History, including a specialized collection of the New York Postmaster's Provisional, New York stampless covers, the ‘Angel’ Collection of International Mails, the ‘Adriatic’ Collection of the United States 12-Cent 1869 Pictorial Issue Postal History, and the Dr. Edward Field Collection of Baltimore ‘Red’ Foreign Mails. ~ Sale 1197 - Friday-Saturday, 14th-15th March - United States Stamps offering a broad array of choice material, including the ‘Adriatic’ Collection of the United States 1869 Pictorial Issue, superb graded singles, and the Brian DeBroff Set of the ‘Panama-Pacific’ Issue, being the highest graded complete set. NOTE: The entire Robert A. Siegel Auction Galleries catalogue can be viewed on their WebSite [see below]. A comprehensive 1,577-Lot offering representing upscale important United States and Worldwide Postage Stamps, Postal History, Proofs, Essays and other rare and esoteric related philatelia at a public auction being conducted at their modern, conveniently located, mid-town Manhattan Cherrystone Auction Galleries, located at 119 West 57th Street, on the 3rd Floor, beginning daily promptly at 10:00 AM (Morning Sessions) and 1:00 PM (Afternoon Sessions). ~ Tuesday, 12th March, (Lot Nos. 1-376) - Morning Session (10:00 AM): United States. Afternoon Session (1:00 PM) (Lot Nos. 377-763): Afghanistan-Austria, China-France and the French Colonies, Germany and the German Colonies and WWII Occupation Issues. ~ Wednesday, 13th March, (Lot Nos. 764-1251) - Morning Session (10:00 AM): Great Britain and the British Commonwealth, Greece-Iran, Italy and the Italian Colonies, Japan-Romania. NOTE: The entire Cherrystone Philatelic Auctions catalog can be viewed on their WebSite [see below]. Most of the single lots are accompanied by quality color scans, and Opening Prices are updated daily. A 2,,724-Lot sale consisting primarily of Greece and the Greek Areas, as well as other Worldwide areas Postage Stamps, Postal History and Vintage Picture Postcards , the offering being in a well-illustrated English:Greek bilingual catalog. The sale will be conducted at the Athens Auction Offices, located at Pindarou 7 & Alexandrou 2, in Athens. NOTE: The Athens Auctions catalogue can be viewed on their facilitative WebSite [see below]. A comprehensive 10,969-Lot public auction of Germany, German Offices Abroad and German Colonies being conducted on the ground floor Theatre area at the Schulz-Briefmarkenauktionen Offices building, located at Frauentorgraben 73, in Nürnberg. The sale also offers better selections of Argentina, Brazil, Czechoslovakia, France, Liechtenstein, Paraguay, Russia, and the United States Zeppelin Flights. AN 2,092-lot public auction of the Stamps and Postal History of the Italian States, Italy, the Italian Offices Abroad, San Marino, the Vatican and General Foreign, all being knocked-down at the Bolaffi Auction Galleries located at via Cavour 17, in Torino [Turin], commencing at 10:00 AM. An 6,358-Lot primarily all-Germany and the German Areas Postage Stamps and Postal History public auction, the sale being conducted at the Auktionhaus Veuskens Auction Gallery, located at Max-Planck-Straße 10, in Hildesheim, starting promptly at 2:00 PM on that Friday, and at 1:00 PM on that Saturday. The sale also offers better selections of Austria, France, Great Britain, Liechtenstein, Luxembourg, Portugal and the San Marino. NOTE: The entire Auktionhaus Veuskens auction catalog can be viewed on their WebSite [see below]. A comprehensive 7,051-Lot offering of the Postage Stamps and Postal History of Germany, the German Offices Abroad, and the German Colonies, as well as General Foreign, highlighted by larger sections of British Africa, British North America, Bulgaria, Czechoslovakia, Denmark, Finland, Great Britain, Italy, Liechtenstein, the Malayan States, the Netherlands, Portugal, the Soviet Union, Spain, Sweden, Yugoslavia and the United States. NOTE: The complete catalog for this auction is available on the Georg Bühler Nachfolger Briefmarken-Auktionen GmbH WebSite. A comprehensive more than 8,100-Lot auction emphasizing Germany and the German Areas Postage Stamps and Postal History, but also including a large representation of other General Foreign, all being sold at Oxford Club-Bonn, located at Adenauerallee 7, in D-53111 Bonn. The lots will be available for viewing only at the Dr. Reinhard Offices, located at Joachimstraße 7, in 53113 Bonn. In addition, the sale also offers over 1,100 better Copper, Silver and Gold Coins, as well as Militaria. NOTE: The bilingual German:English language catalog for this auction is available on the user-friendly Reinhard Fischer Auktionen WebSite [see below]. 15th - 16th KELLEHER& ROGERS LTD.
An public auction of all-Asia Stamps, Postal History, and other Collectibles, the offerings being sold at their new Kelleher& Rogers Ltd. Offices, located at 1802 Perfect Industrial Building, 31 Tai Yau Street, San Po Kong, in Hong Kong on November. The auction will include the Steve Berlin Collection of Karl Lewis Illustrated Covers. NOTE: The entire Kelleher & Rogers Ltd. sales catalogue can be viewed on their WebSite [see below]. A public auction primarily offering comprehensive German States, Germany, German Offices Abroad, German Occupations, and German Colonies, and also including much in the way better General Foreign. A 1,360-Lot public auction of primarily Germany and the German Areas taking place at the Lindner Hotel City Plaza - Köln (formerly the Renaissance-Hotel) located at Magnusstraße 20, in Köln. An 859-Lot public auction offering New Zealand and the New Zealand Areas, Great Britain, the British Commonwealth, and other General Foreign, all being sold at a public auction being conducted on that Saturday at the West Plaza Hotel (http://www.westplaza.co.nz/) located at 110-116 Wakefield Street, in Wellington, commencing promptly at 1:00. NOTE: The entire J. R. Mowbray International auction catalog can be viewed on their WebSite [see below]. A 3,565-Lot public auction having a large offering of the Postage Stamps and Postal History of the Netherlands as well as other General Foreign, the sale being conducted at the CorinPhila Veilingen BV Galleries, located at Heemraadschapslaan 100, in Amstelveen. ~ Auction Nº 239 - A General sale of the Netherlands and the Dutch Colonies, Germany and Switzerland, and including a Seychelles Exhibition Collection, Zeppelin Mail, and Country Collections. ~ Auction Nº 240 - pre-Adhesive Netherlands and the Dutch Colonies Postal History. NOTE: The entire catalogs for all the CorinPhila Veilingen BV sales also are currently available on their Website [see below]. Over 400 Lots in an all-Japan public auction offered in a Japanese-language catalog; although in the Japanese-language, the lot listings are profusely illustrated, and are simple to decipher. The sales venue is located at the Takahashi Stamp Company Offices, located in the Shintaro Building - 4th Floor, at 6-6-19 Ginza, Chuo-ku, in Tokyo. Highlights of the sale include very strong sections of classic-era postage stamps and postal history. Although currently not listed on their WebSite (see below), plans to include auction lot listing on the Internet are planned. An over 3,400-Lot sale of better France, French Offices Abroad, French Colonies, and other philatelic French Areas, as well as comprehensive selection of General Foreign, all being sold at the François Feldman F.C.N.P Offices, located at 10 rue Drouot, in Paris. 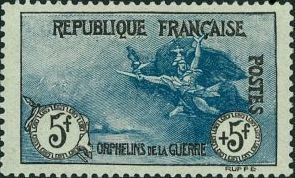 The France section is highlighted by a complete range of philatelia, from the classic issues, through to the better modern. The French Colonies are very well represented, and feature many rare and otherwise desirable items from the full spectrum of stamp-issuing entities, including Proofs, ERRORS, and other varieties. The General Foreign is highlighted by better Western Europe and the rest of the World offering a full range of all the philatelic areas. An esoteric selection of 1,528 upscale Worldwide Classical-era Postal History offering an excellent selection of France, the French Offices Abroad, and the French Colonies. The balance of the sale offers the rest of the world , which covers the spectrum of better General Foreign postal history. An upscale public auction of the Dimitris Bertsimas Collection of Important Great Britain Stamps and Multiples, the auction being conducted at their Robert A. Siegel Auction Galleries located in mid-town Manhattan at their new offices located at 6 West 48th St. - 9th Floor, New York City. A specialized 347-Lot offering of the Dr. Heissinger Large Gold Medal Collection of the First Federal Stamps of Switzerland – The 1850-1854 Durheim Issue, the public auction being conducted at the Feldman Galleries located at 175 Route de Chancy, Geneva. This comprehensive collection features many key items from this classic issue, including a very elusive Rayon II issue with ‘framed Cross’ a Rayon II issue with Inverted yellow background (one of12 recorded), ‘Orts-Post’ with unframed cross in strip of six (only recorded copy), an exceptional ‘Poste Locale with an unframed cross, Essays, varieties, a wide range of cancellations and frankings including first day covers, stampless period covers (December 1851), and covers addressed abroad, including with ‘Orts-Post’ stamps. strong sections of the 1896 Athens, 1906 Athens and 1912 Stockholm (w/ rare cancels), 1924 Paris with many Die Proofs, 1936 Berlin w/ Covers, scarce and rare Cancels, Proofs and Essays. The sale also features the ‘Alba’ Collection of Football, which represents a collector’s lifetime’s work of Autographs, Stamps and Covers from the beginning of international competitive matches in the Olympics, World Cup and European Cup. NOTE: The entire set of David Feldman S.A. auction catalogs can be viewed on their WebSite [see below]. A 355-Lot sale of Spain and the Spanish Colonies being conducted at the Subastas Europa sales venue located at Calle Balmes 266 - Ent. 5, in Barcelona. An almost 8,400-Lot sale with a wide range of the Canadian Provinces and Canada, Great Britain and the British Commonwealth, and other Worldwide Singles, Sets, Covers, Postal History, Postcards, Proofs, and Varieties. NOTE: The entire Vance Auctions Ltd. sales catalogue can be reviewed on their WebSite [see below]. A 1,465-Lot public auction of Austria, European, and other Worldwide Stamps and Postal History. The sale will be conducted at 10:00 AM on that Tuesday and Wednesday in the ‘Ludwigstorff Room’ at the historic Palais Dorotheum Building offices, located at Dorotheergaße 17, in Vienna, beginning promptly at 10:00 AM. Strong in Austria and the Austrian Areas Postage Stamps and Postal History, the sale also includes much in the way of General Foreign, primarily from the European Areas. NOTE: The entire Dorotheum GmbH. auction catalog can be viewed on the auctioneer's WebSite [see below]. A comprehensive sale covering all phases of Spain and the Spanish Colonies and General Foreign Postage Stamps and Postal History, to be conducted at the Filatelia Llach Offices located at Diagonal 489, Barcelona. The sale includes offerings of Spain an the Spanish Colonies (incl Spanish Morocco Imperforates), as well as the Falkland Islands, France and the French Areas, Germany and the German Areas, Great Britain, Italy and Latin America. 21st - 23rd RARITAN STAMPS INC.
~ The ‘Galychanka’ Collection of the Western Ukraine. ~ The Michael Pipe Collection of the RSFSR. The United States offerings include the Classic-era stamps, Plate No. strips and blocks, Imperforated varieties and Color errors, as well as a ‘Apollo-Soyuz’ Gutter Block, and a NYSE invert. NOTE: The entire Raritan Stamps Inc. auction catalogue can be viewed on their WebSite [see below]. A comprehensive multi 1,000s-Lot public auction being conducted at the Rauhut& Kruschel Auction Galleries venue located at Reichspräsidentenstraße 21-25, in Mülheim an der Ruhr (located in the Ruhr Area, between Dulsburg, Essen, Oberhausen and Ratingen), the sales rooms being located 600 meters from the Rauhut & Kruschel offices. The auction is highlighted by comprehensive offerings of Germany, the German Areas, and General Worldwide Postage Stamps and Postal History. The Collections and other Large Lots, Dealers Stocks, and Accumulations section is especially strong. NOTE: The complete catalog for this auction is available on the very user-friendly Briefmarken-Auktionshaus Harald Rauhut WebSite (every lot is illustrated) [see below]. A comprehensive 2,935-Lot sale of Italian States, Italy, Italian Colonies, San Marino, the Vatican, General European and other Worldwide Stamps and Postal History all being knocked down at the Sina Hotel De La Ville (http://www.delavillemilano.com), located at via Ulrico Hoepli 6, in Milan, commencing promptly at 10:00 AM. NOTE: The entire Ferrario Aste s.r.l. auction catalog can be viewed on their WebSite [see below]. A special 1,202-Lot Special auction of Spain and the Spanish Colonies Stamps and Postal History . The very comprehensive Spain section includes every possible aspect of that country’s philatelia, ranging from the Pre-Adhesive and Classic eras, through to the Modern and Back-of-the-Book philatelia, and including Proofs and Essays, Telegraph Stamps, Locals, and the Postal History of the Spanish Civil War. The Spanish Offices and Spanish Colonies sections include in-depth representations of Spanish Administration Andorra, French Administration of Andorra, Cape Juby, Cuba, Elobey, Fernando Poo, Ifni, La Agüera, the Marianas, the Philippines, Puerto Rico, Rio de Oro, Spanish Morocco, Spanish Guinea, the Spanish Sahara, and Tangiers. NOTE: The catalog for this Soler y Llach Subastas Internacionales, S.A. auction is available for viewing on their WebSite [see below]. A very comprehensive auction of the Worldwide Postage Stamps, Postal History, and Collections of Germany, the German Areas, and General Worldwide, the sale taking place e the Heinrich Köhler Auction Galleries, located at Wilhelmstraße 48, in Wiesbaden. ~ The 1928-1937 Zeppelin Posts Commercial Mails. ~ The ‘Høgensborg’ Collection of 1773-1917 Danish West Indies. ~ The ’Dublin’ Collection of Ireland - the Path to Independence, and the Robert M. Benninghoff Collection of the Ireland 1922-1940 Coil Stamps. ~ The Dr. Giorgio Magnani Collection of 1837-1889 Incoming Mail from Central and South America to Italy. ~ The Christian and Renate Springer Collection of the Kingdom of Saxony. ~ Palestine Mandate Postal History. NOTE: The catalog for this sale is available from the auctioneer for Euro 26 to cover the airmail shipment fee; please forward an E-Mail to the auctioneer for details. NOTE: The entire Heinrich Köhler Deutschlands-Auktionhaus catalog can be viewed on their WebSite in the German and English language texts [see below]. A 3,102-Lot public auction offering Netherlands, the Dutch Colonies and other General Foreign Stamps, Postal History, Collections, Accumulations as well as other Large Lots. NOTE: The entire auction catalogue fully illustrated can be viewed on the De Nederlandsche Postzegel en Muntenveiling WebSite [see below]. 29th - 30th DANIEL F. KELLEHER CO. INC.
An United States and General Foreign all-Collections, Dealers’ Stocks, Accumulations and other Large Lots sale, being knocked-down at a public auction at the Daniel F. Kelleher Auction Galleries located at 4 Finance Drive in Danbury, Connecticut, beginning promptly at 9:00 AM on both days. ~ Sale No. 224 - Featuring the Erik Torbensen three Gold Medal Collections, important Nordic Ship Mail, Greenland Parcel Post Savings Booklets, Færøe Islands Postal History, exceptional quality Iceland and Sweden rarities, and the ‘Viola’ Collection of the Finland ‘Serpentine’ Issues, as well as Collections, Philatelic Estates, and Other Large Lots. NOTE: The entire Postiljonen AB auction catalogue can be viewed on their WebSite in the Swedish and English language texts [see below]. NOTE: The entire Studio Filatelico Ghiglione auction catalogue can be viewed on their WebSite [see below].